Calm and relaxation are assured. Visit the Cathar castles, quoted of Carcassonne, Canal du Midi, walled town of Mirepoix. Tour and tasting of wine cellars. The property has a lovely South facing covered terrace with views over open countryside. The pool was fantastic. Didier and Annie made us very welcome and we hope to return again in the future. We stayed for a week at the end of September, arriving at 8pm after flying into Toulouse. As there are no supermarkets en route from the airport, Didier welcomed us and kindly gave us a pizza and enough for the first evening, as well as a welcome bottle of wine, with a selection of tea in the morning. The gite was simple but comfortable and the location was idyllic if you like peace and quiet with amazing views. Plenty of space for a couple or with young children as the 2 further beds are on a mezzanine of the main bedroom. You definitely need a car as the nearest food shop is about 15 mins drive away at Minepoix with a beautiful mediaeval square and plenty of cafes. There are plenty of lovely walks around and the historic town of Carcassonne is about 45 mins drive away. The swimming pool is small but sufficient and there is space around with swings for young children and chairs looking out over fields towards the Pyrenees. Didier is available for whatever needed but not intrusive. We also enjoyed eating the grapes from vines on the veranda. Thank you for a very relaxing week. zeer warm onthaal, gite kraaknet en heel mooie omgeving, een pek om tot rust te komen. Nous sommes touchés par votre gentillesse. A des personnes souhaitant se reposer dans un endroit calme. Gite très agréable et reposant avec un acceuil très sympathique. Ces un grand plaisir chaque année de recevoir les personnes qui souhaitent visiter notre région. Et trouver dans nos deux gîtes prévu pour 2 personnes le calme , la détente , la relaxation dans notre piscine . Encore un grand merci à Annie, Didier et leur famille pour leur accueil. Très belle propriété en pleine nature. Le calme absolu. La région est magnifique. Une multitude de chose à faire et à visiter. Nous avons passé 15 jours et c'était trop court tellement nous avons apprécié ces vacances. Une adresse pour les vacances a retenir et a partager. Nous avons la chance d ofrire à nos clients des séjours en pleine campagne et au calme. Un séjour de repos absolu. 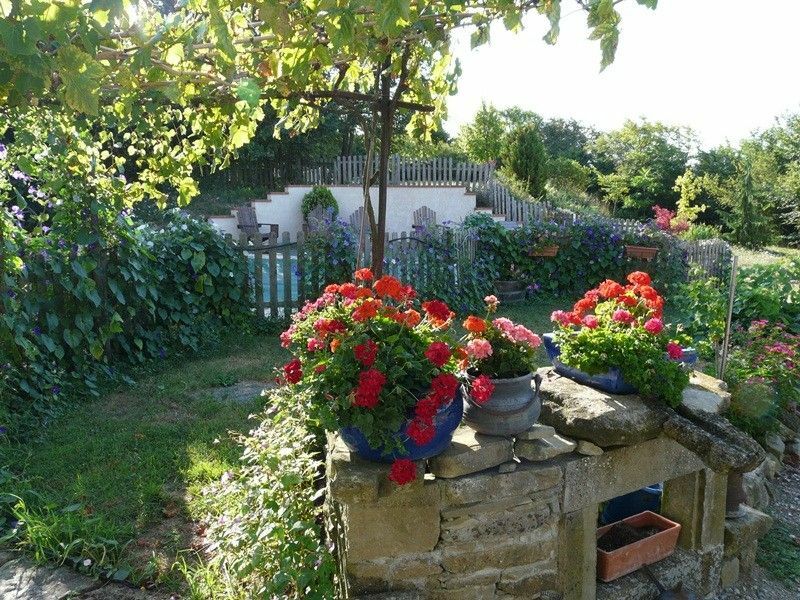 Old farmhouse renovated in Lignairolles, small village located between Limoux and Mirepoix. Superb views of the Pyrenees and surrounding countryside. Calm and relaxation are assured y, neighborhood walks are endless and varied. The nature lovers will find their happiness. The medieval cities of Carcassonne and Mirepoix. In the pool which is to their disposal, our guests can enjoy the massage jets of water and enjoy swimming against a current.